I can't believe the holidays are suddenly upon us! I know a lot of us have a lot of teaching to be done, too! I'm here to help you with that! 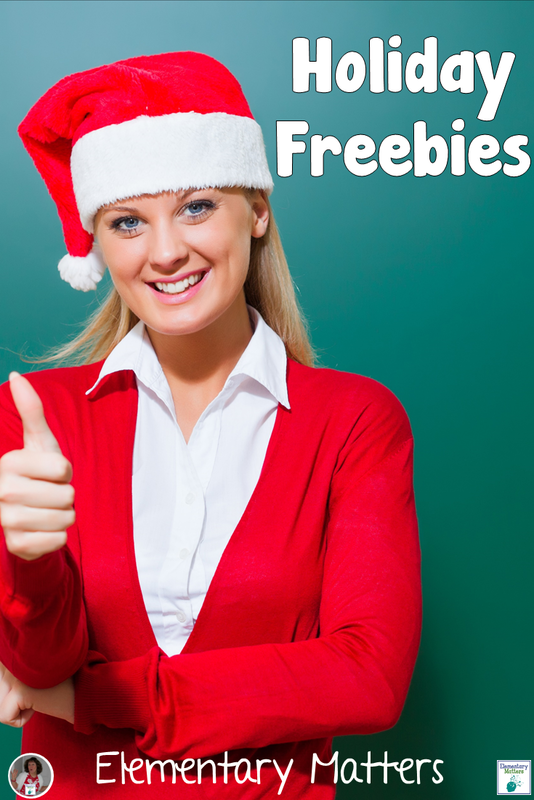 I wanted to give you some holiday freebies! See the linky below to check out my holiday freebies, and the freebies of other teachers, too! If you are a teacher, I'd love to have you link up if you have a holiday freebie aimed at grades 1 - 3! This is a great linky! Thanks so much for hosting! Thank you for the freebies and great giveaway!